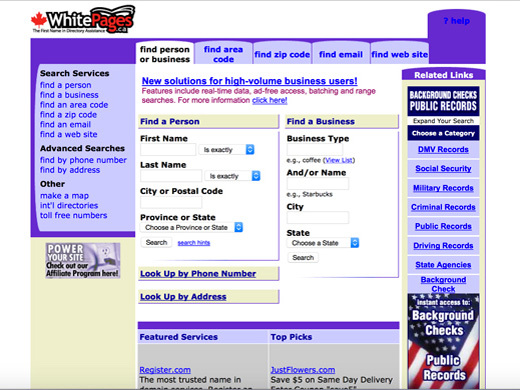 The directory is part of Whitepages inc (until 2005 W3 Data). to the major national phonecompany. the moment it became possible to register imaginary domain names. and today a famous interior designer from Vancouver. 2002 Launch of Whitepages.ca edited by Whitepages.com. going for the Ice Buket Challenge.